Earlier this week, on August 1, the Supreme Court of Colombia orderedPresident Manuel Santos and other individuals and entities to take all appropriate and necessary measures, in an efficient and coordinated manner, to ensure that children and adolescents of The Wayuu indigenous community receive access to clean drinking water, food, health care, housing and other basic amenities necessary for their survival. This order follows the December 11, 2015 decision of the Inter-American Commission of Human Rights (IACHR) which directed the Colombian government to take similar immediate “precautionary measures” to ensure the lives and personal safety of Wayuu children in La Guajira, Colombia. The IACHR decision was prompted by the documented deaths of 4770 Wayuu children during the past 8 years as a result of thirst, malnutrition and preventable disease. 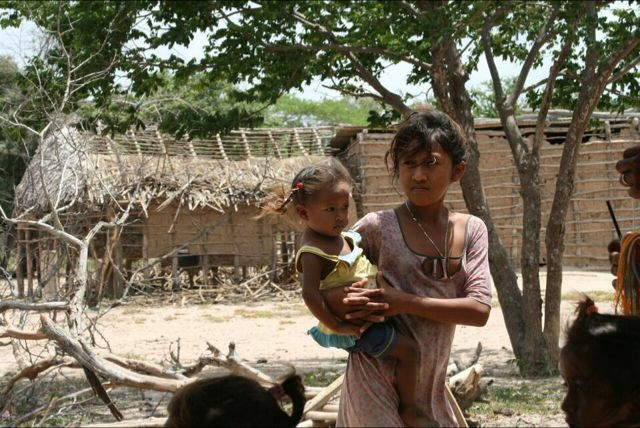 For their part, The Wayuu claim that over 14,000 children have died. In any case, these numbers are staggering for the 100,000 Wayuu who live in the communities covered by the IAHCHR decision. The biggest threat to The Wayuu and their children comes from the lack of drinkable water – a fact which I witnessed on a recent trip I made to La Guajira with the Washington Office on Latin America (WOLA). 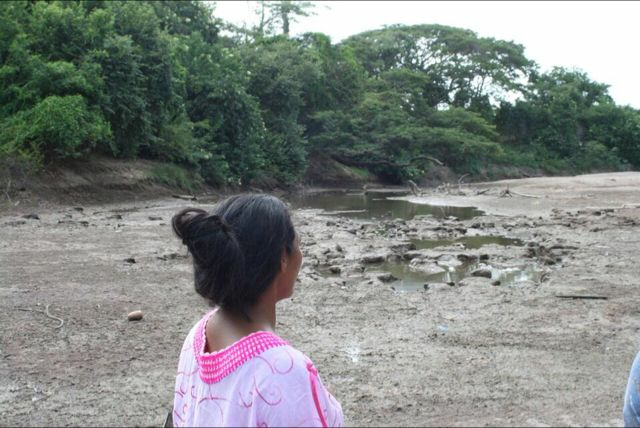 The water that The Wayuu once had has been stolen from them – both by climate change which they had no part in creating, and by the damming of The Rancheria River which once fed their communities but which is now being used for the private benefit of coal mining giant Cerrejon. Cerrejon uses 17 million liters of water a day while each resident of La Guajira is left with an average of 0.7 liters per day to live on. looks out upon The Rancheria River — nearly dry as a bone. Despite the IAHCR ruling nearly 9 months ago, the Colombian authorities have done next to nothing to alleviate the suffering and untimely death of The Wayuu children, thus precipitating the August 1 Supreme Court decision which again orders the government to take urgent measures to address this crisis. In the meantime, as the IAHCR itself explains, the chief advocate on behalf of The Wayuu in these cases, Javier Rojas Uriana, has received death threats by right-wing paramilitaries trying to pressure him into halting his legal actions to protect The Wayuu. Just as remarkable as the dire situation facing The Wayuu is the almost total lack of press coverage regarding their situation. Thus, while the press covers the shortages in Venezuela nearly every day, and in a quite histrionic fashion which ignores the complexities and subtleties of the situation there, there is almost a total blackout of the real famine confronting The Wayuu of Colombia just over the border. And, it is this media blackout, even in the face of major rulings by both the IACHR and Colombia’s high court, which of course allows this famine to continue without pause. Reality. 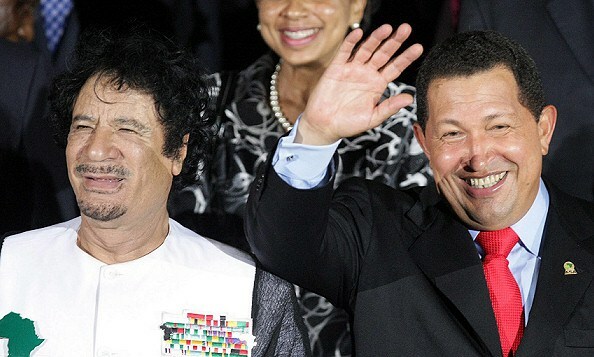 Amnesty International has taken the amnesty out of humanity and became a killing tool by using criminals they call dissidents, political opposition and human rights activists in countries of interest. It was two years ago. The letter also instructs Mr. Adams that the remaining three colleagues will meet him in Nairobi on the 1st day of September 2011. After having a thorough discussion and understanding of their secret mission, they will start heading to Eritrea strictly between the dates of 6th – 16th September 2011. The names of the three colleagues that were stated on the letter as delegates are Mr. Mohammed Hassan Noor, Ms. Concepcion Empeno and Kathryn Achilles. However, Amnesty realized that their fax message has been intercepted by the Eritrean intelligence unit. They also realized their secret mission got killed even before it started. 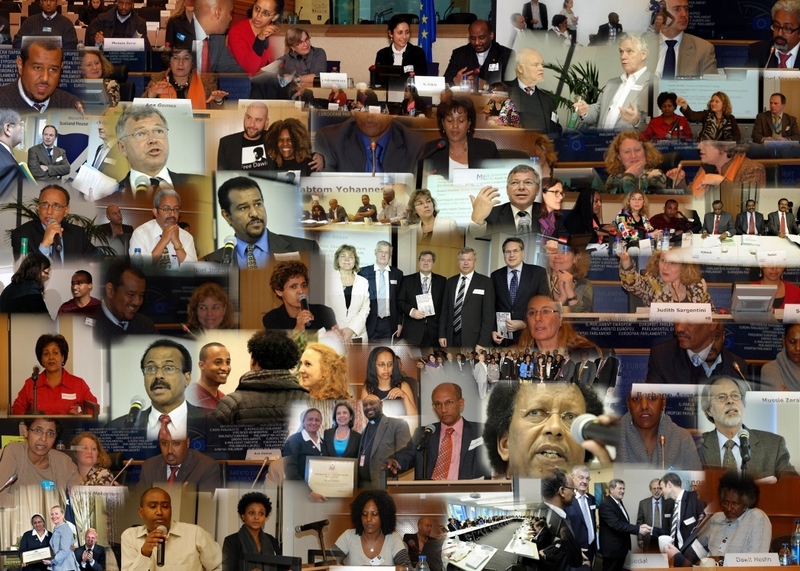 After all the experiences accumulated over the years, because the people around the world have well understood what civil society means, there is no need of clarifying why Eritrea prevented the establishment of civil society. No one expects a stooge to be happy when a branch of its type is denied the right for establishment. “Amnesty International” has in a hurry issued a statement of denial before the Ministry of Information issued a statement. It would have been better for “Amnesty International” not to rush, for all the documents and their signatures are in the hands of the Government of Eritrea and be public. The main objective of this writing is to expose the act of ploys committed during that time by this organization. Who are the people that “Amnesty International” tried to illegally send to Eritrea from 6th to 16th of September, 2011? What was their mission? Who is funding the mission? For what purpose? What measures did the Government of Eritrea take? People from across the world, including key human rights activists, public intellectuals and citizens groups have supported a global petition demanding public clarification and accountability from Amnesty International. On Feburary 7, 2010 Amnesty International’s controversial alliance with Moazzem Begg and his organization, Cageprisoners, who have an ambiguous position on the Taliban, was publicly questioned by Gita Sahgal, Head of the Gender Unit at the International Secretariat of Amnesty International, London. This principle in no way contradicts or negates the Amnesty International campaign against the fundamental human rights abuses that have occurred at Guantanamo and elsewhere. Rather than responding to the seriousness of her concerns with an investigation of the issues and/or having a democratic debate both internally and in the public domain, Amnesty International suspended Gita Sahgal and publicly reiterated its alliance with Begg. This is a compromise of its own core values. In response to the petition, as well as in a recent public statement, Amnesty has quoted the concept of defensive jihad as justification for its support of Begg. Meredith Tax (Writer and feminist organizer; President of Women’s WORLD). US. Michael Walzer (Political scientist at the Institute for Advanced Study, Princeton, NJ, and editor of Dissent magazine). US. Salman Rushdie (Internationally known writer; winner of the Booker Prize). Amitav Ghosh (Writer and Professor of Comparative Literature at Queens College, NY; awarded the Padma Sri prize awarded by the Indian government). US and India. Malalai Joya, (MP Afghani Parliament, suspended for criticizing warlords), Afghanistan. Dr. Nawal El Sadaawi (Physician, writer, and former political prisoner) Egypt. Martha Nussbaum (Professor of Law and Ethnics, University of Chicago; c-founder of the Human Development and Capabilities Association with Amartya Sen) US. Gayatri Chakravorti Spivak (Literary theorist and University Professor at Columbia, visiting faculty at Center for Studies in Social Sciences, Calcutta) US and India. Marieme Helie-Lucas (Algerian sociologist and founder of Women Living Under Muslim Laws and coordinator of Secularism is a Women’s Issue, siawi.org). Algeria and France. Charlotte Bunch (Founder of the Center for Women’s Global Leadership at Rutgers University, NJ). US. Rosalind Petchesky (Professor of Women’s Studies and Political Science, Hunter College and the Graduate Center at the City University of New York and MacArthur Fellow) US. Kristen Booth Glen (Surrogate Court judge in Manhattan; former Dean of the Law School of the City University of New York). US. Virginia Vargas (Sociologist; founder of the Flora Tristan women’s association, and former Latin Amerian coordinator for the 1995 UN Conference on Women in Beijing). Peru. Dubravka Ugresic (Internationally known writer, formerly from Croatia; winner of many European prizes). Netherlands. Lynne Segal (Socialist feminist writer and activist; Anniversary Professor of Psychology and Women’s Studies, Birkbeck College, London.) UK.